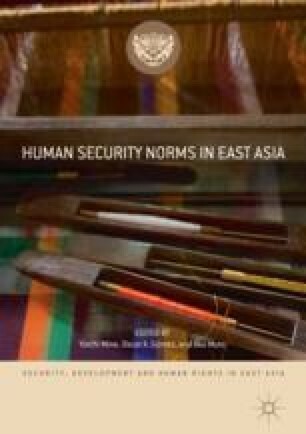 This chapter elaborates on how the idea of human security is defined and understood by the government and various actors in China. As one of the permanent members of the United Nations (UN) Security Council, China, has been supportive of international norms advocated by the UN, and even though the term human security has not been frequently used, in effect it has been vigorously practiced. For both the government and the academic community in China, human security and national security are not necessarily in confrontation but rather can complement and strengthen one another. The purpose is to improve the quality of people’s everyday life and the government is expected to contribute to this end. Chinese people expect the government to extend a parental roof over the people. Zhang, Zhiwei. 2010. Food Security Tops People’s Concern in Survey. China Daily, June 30. www.chinadaily.com.cn/china/2010-06/30/content_10042303.htm.